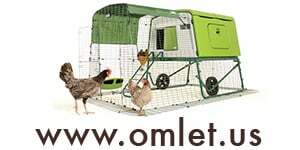 Most pullets will begin laying eggs around 20 weeks. However, don’t be surprised if you are waiting until 6 months of age for your first egg. Larger breeds take longer to get there. 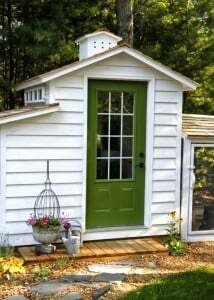 Remember, you will need one nesting box per four chickens. Often, one box turns out to be everyone’s favorite. 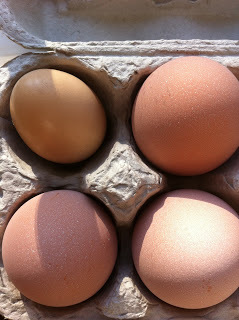 It is not uncommon that I find two chickens in the same box laying eggs, while the other boxes remain empty! 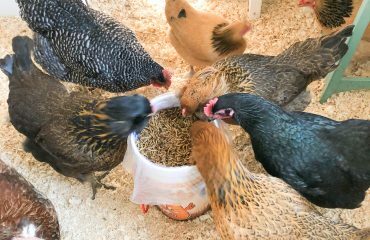 Once chickens reach 20 weeks of age, make sure that you have plenty of calcium available to your flock. This will help the chickens create nice strong eggshells. Some individuals even refeed the chickens’ egg shells back to them. Spread the egg shells on a baking sheet. 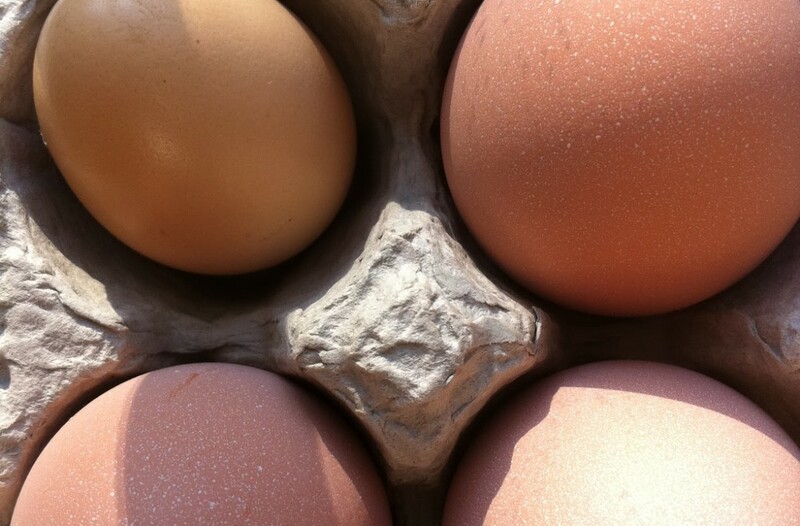 In an oven on low, dry the egg shells to remove the moisture. Once removed from the oven and cooled, gently crush the egg shells into small unrecognizable pieces. These can now be re-fed to the chickens. Sometimes, though rare, you will find that one of your girls becomes egg bound. This can happen for a number of reasons. The egg becomes stuck in the vent and you will need to assist the egg out of the chicken. If you can visualize the egg, you can help. Wrap your chicken’s head and body in a towel, keeping the back end exposed. I find this keeps the chicken calm. With some Vaseline, gently lubricate the egg and try to coax it out of the vent, taking great care not to break it. There are techniques available as well if you cannot visualize the egg. After success, you will see that the vent area will have pink tissue exposed. The vent is prolapsed. Apply some Neosporin and if severe, Preparation H to the vent area and place the chicken in a dark (does not stimulate egg laying) warm place to rest. Be sure to provide food and water. After a day or so, return her to her flock. Hopefully, the next egg she lays will be easier for her to pass. 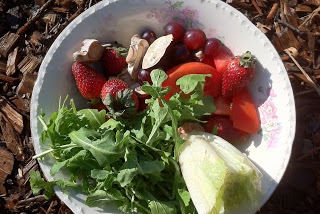 Chickens love to eat apples, berries, breads, broccoli, corn, cucumbers, lettuces and greens, melons, oatmeal, rice, squash, zucchini, grapes tomatoes and pumpkins. 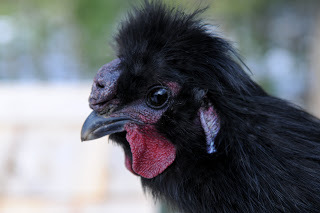 Chickens should NOT EAT salt, citrus, processed foods from the kitchen, potato peels, avocados, sodas/carbonated beverages, chocolate, coffee/coffee grounds, garlic and onions. They should also avoid greasy foods as well. Kitchen scraps should always be fed in moderation. The chickens will lay best if they primarily eat their layer pellets. Here is a more thorough list. 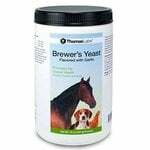 I also supplement my flock’s diet with food grade diatomaceous earth and I put apple cider vinegar with the mother in it in their water, 1 tablespoon per gallon, as well as electrolytes and vitamins during times of stress. In addition, once a week, I give them organic plain yogurt. In my experience, it does not give my chickens diarrhea. It helps with preventing egg eating and also acts as another calcium source. Roosters are noisy and do not crow only during the daylight hours. Roosters will crow at any time of the day, even in the middle of the night. They crow for several reasons, not only due to light exposure. They crow to assert their territory, ward off danger and to alert the flock. When keeping a rooster, you need to be respectful of your neighbor’s rights. Like barking dogs, rooster can become annoying to those within earshot. I have now been through 2 broody episodes with Dolly and now it appears that Autumn has gone broody too. 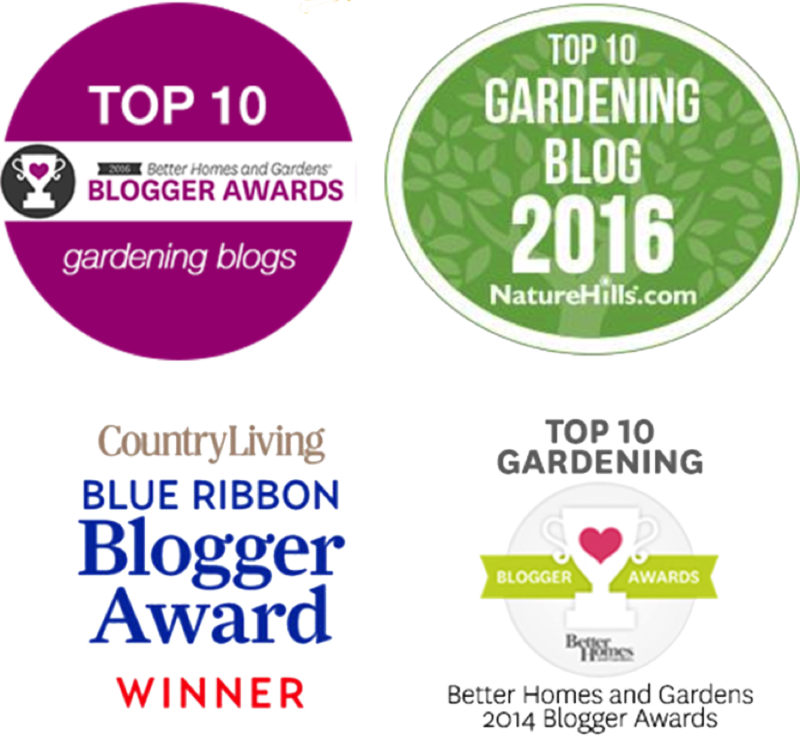 I have blogged an awful lot about broody hens these past few months! Hens go broody when they seek to hatch some babies of their own. Often you will know that a hen has gone broody, because she sits on the nest even when it is empty. Broodiness, if let to run it’s course, lasts about 20 days. While she is broody, she will briefly come off the nest one or two times per day to eat, drink and poop. There are techniques that you can try to break a hen of it’s broodiness. In my opinion, they are cruel. 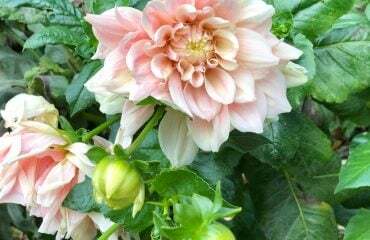 I prefer to let nature run it’s course. It is a good habit to harvest the eggs from the nesting boxes a few times per day. This helps to decrease broodiness. Be sure to keep a fresh supply of water and food close too. She will not venture too far away from her nest, eggs or no eggs. Either way, it takes any where from 19-21 days to hatch eggs. 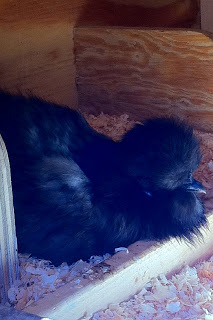 We just hatched our own Silkie eggs with Dolly and Chocolate. 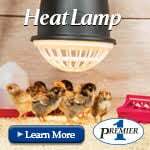 If you are hatching eggs the natural way, you will need to create a brooder and a safe haven for the mother hen to be! 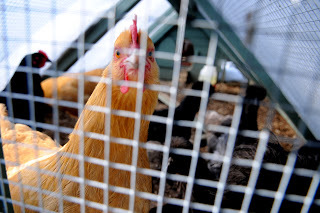 Also, it is a good idea to set up visitation of the broody hen with her original flock. This way they remember each other. It will be easier to reintroduce them with minimal disturbance of the pecking order and avoid you having to deal with broody poop! 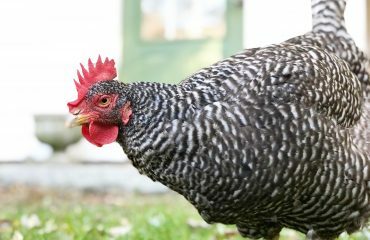 At some point sooner or later, one of your chickens will be under the weather. It is best to remove that chicken from the rest of the flock. Some people will cull their chickens once they appear ill. I take mine to a veterinarian that specializes in birds/chickens. 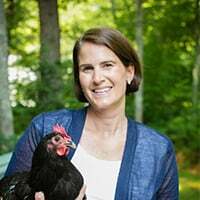 There have been two instances where the vet has helped restore my chickens’ health. 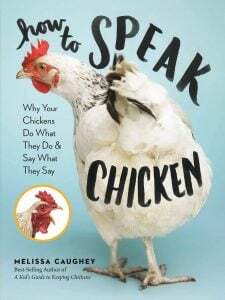 Although there is a lot of information on the internet about dealing with sick chickens, it is my opinion that they should only serves as guides. It is always best, when available in your area, to see the chicken vet. They are the experts. They had many years of schooling regarding avian illnesses and they cannot be replaced by the internet. Raising chickens has been a very easy experience. I would highly recommend it to everyone that is interested. 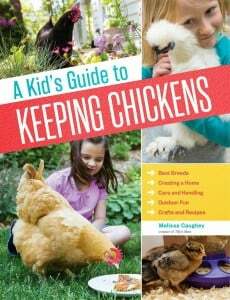 It is addictive and provides fresh eggs for you and your family as well as many other life lessons. 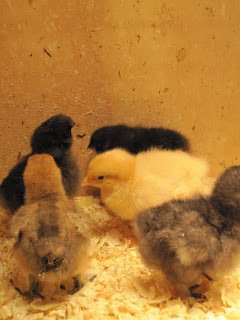 Spring time is here and so are the chicks at your local feed and grain stores.